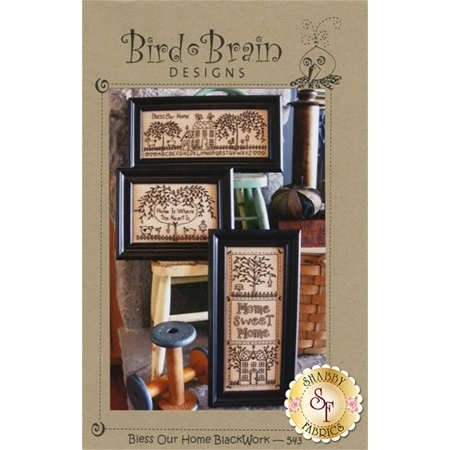 Create gorgeous home decor with Bless Our Home Blackwork by Robin Kingsley for Bird Brain Designs! Hand embroider three unique designs celebrating home with sayings like "Home Sweet Home". 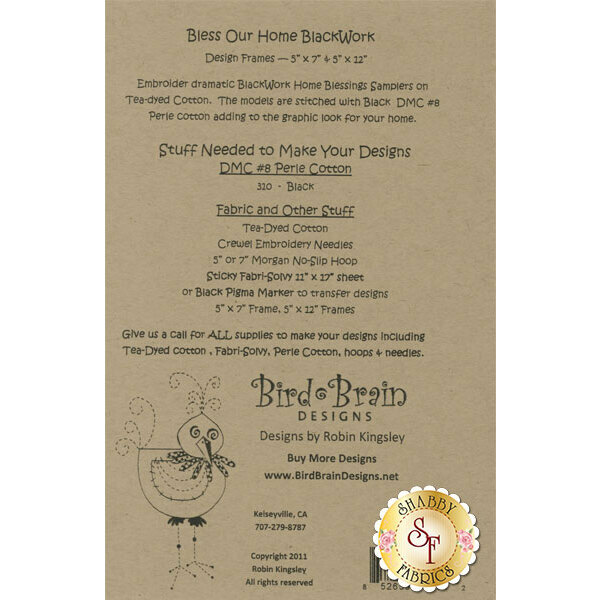 Designs finish to 5" x 7" and 5" x 12".